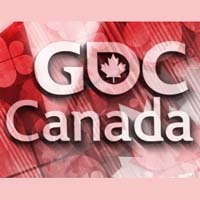 The organizers of next month's GDC Canada event in Vancouver are offering free Main Conference passes to Canadian game developers laid off in the last twelve months to help them return to the game industry. Continuing a similar program conducted during GDC Canada 2009, and recognizing the toll the recession has taken on elements of the mainstream video game industry, a special page on the GDC Canada website details the offer's specifics. To qualify, prospective attendees must have been laid off from a Canadian video game or creative/digital arts company within the past 12 months, not be currently full-time employed, and provide their Canadian Record of Employment document at GDC Canada onsite registration to validate your status. They will also need to pre-register now for the May 6th-7th event at the Vancouver Convention Center by following the instructions on the GDC Canada page devoted to the subject. Only a limited amount of these passes are available. The GDC Canada event itself has now confirmed much of its content, with a full schedule of announced lectures now available, and the Canadian Videogame Awards now confirmed for the night before the event. Highlighted lectures for GDC Canada, which is presented by Reboot Communications and this website's parent the UBM Techweb Game Network, include a FarmVille-related keynote plus talks from the Dead Rising 2 and Fallout: New Vegas creators. The event will also host a Game Career Seminar on the Friday of the show, plus evening networking events, as well as an expo hall including a number of career booths from local Canadian companies hiring staff. More information on the 2010 GDC Canada event, including pricing specifics, lectures announced to date and registration deadlines are available on the official GDC Canada website.